I love the comfort of a good bowl of ramen on a cold night, and Sawtelle has an incredible number of options. 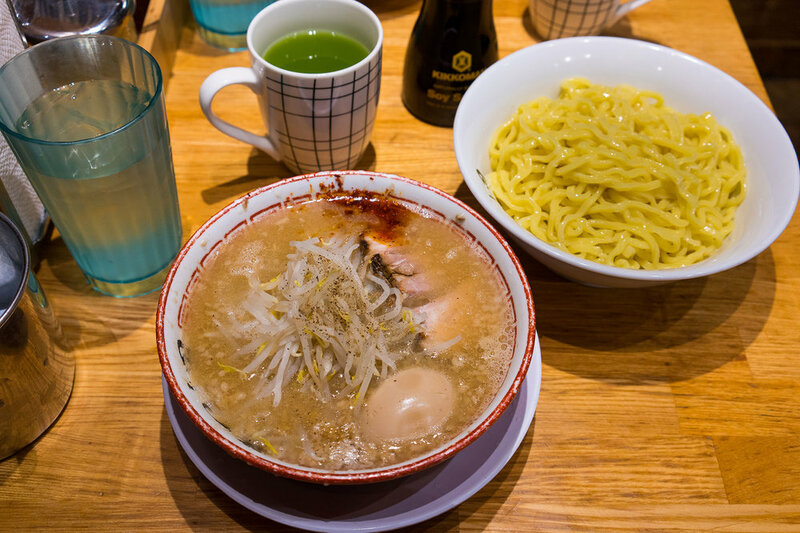 One of the standouts is Tsujita — an entry in most “Best Ramen in LA” lists. They are so popular, in fact, that they are now running four different restaurants in the heart of Sawtelle. 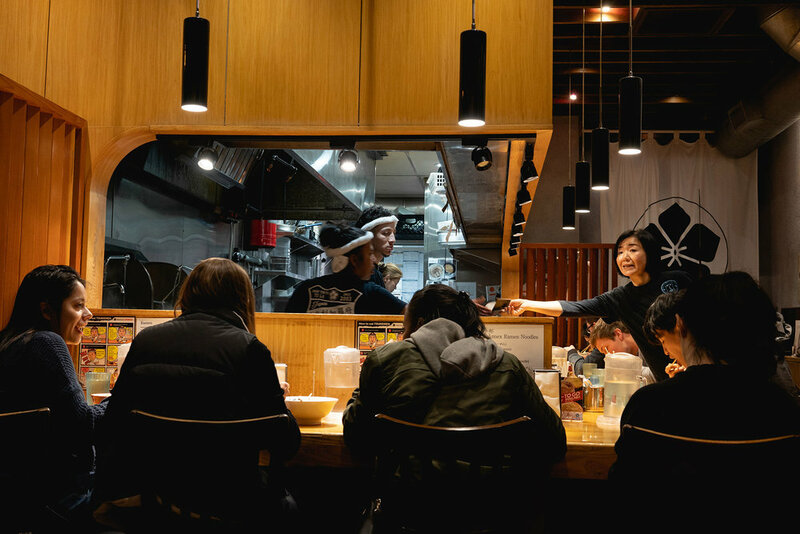 Tsujita Annex opened two years after Tsujita’s successful launch. The Annex has a simple menu: ramen, tsukemen, rice bowls, and drinks. Here’s the hot matcha tea which is smooth and light. The rice bowl took me by surprise. I normally don’t enjoy the texture of spicy tuna, but this one is less mushy and more finely chopped. The flavors stand out well, and the mint gives it a fragrant undertone. I love the no-nonsense presentation of this dish. It’s not trying to be fancy with toppings and garnishes. It feels like something my mother might make at home with all the love and secrecy of a treasured family recipe. Noodles, pork, egg, sprouts, and broth. And damn is it thick. It’s so thick that the fats and oils swirl around the bowl as you add the noodles and then hang frozen while you wait to take a bite. Globules of luscious, creamy flavor are suspended in every spoonful. It’s heavenly. The noodles are equally thick — slightly chewy and udon-like. They heat up quickly in the boiling-hot broth. And the egg… Well I could only dream of making a soft-boiled egg as good, ever. I tend to add obscene amounts of garlic to food, so I’m happy to see it as a table condiment. Can we make that a thing everywhere? They also have a chili powder called onikasu. It’s moderately spicy and adds a nice kick to the fat-filled soup. The interior is cramped. The lighting is dim and yellow. Wooden slats decorate every wall. These are not bad things though; they add to the feeling of a family get-together and make the meal more intimate. The servers are friendly, and every item is prepared with attention and care. There’s usually a wait, but it’s very worth it.